CertainTeed is a leading North American manufacturer of building materials including roofing, vinyl siding, trim, fence, railing, decking, insulation, gypsum, and ceilings products. When you choose a TAMKO® Pro Certified Roofing Contractor for your roofing needs, you can be confident they are an experienced roofer dedicated to unmatched professionalism. Middle Creek Roofing is Velux Certified. The Velux Skylight Installation certification program was developed to partner with installers and help provide the end user with the very best experience possible. Owens Corning Preferred Contractors are part of a network of roofing professionals selected specifically for their committment to service, relaibility and craftmanship. They meet high standards and satify strict requirements - all to give you the peace of mind that you've choosen the right contractor for the job. 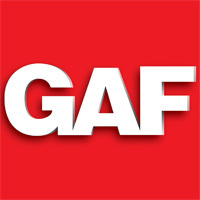 Headquartered in Roswell, Georgia, Boral USA, through its subsidiaries and joint venture companies, is a leading manufacturer in the building materials industry. The company is a leader in roofing as well as manufacturer of Boral TruExterior® Siding and Trim, pioneer of the innovative poly-ash category of exterior building products. Boral TruExterior® Siding & Trim offers real workability that exceeds that of wood without sacrificing the look, feel and character of traditional wood products, creating a balance of performance and aesthetics that cannot be found with other manmade alternatives. 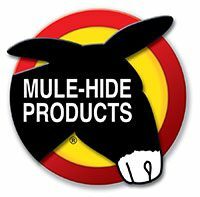 Mule-Hide Products is the most trusted brand of roofing product since 1906. With unparalleled training, world class service and support, and a clear vision, Mule-Hide is here to help make every roofing contractor's American dream come true. Owens Corning TruDefinition Duration Series Shingles have a Limited Lifetime Warranty with 10 - year Tru PROtection Coverage. BBB Accredited Since 06/17/2011. BBB has determined that Middle Creek Roofing meets Standards of BBB Accreditation, which include a commitment to make a good faith effort to resolve any consumer complaints. BBB Accredited Businesses pay a fee for accreditation review/monitoring and for support of BBB services to the public. The Home Builders Association of Berks County is a leading advocate for the building industry. The Association promotes trust and value in the community, and lends their name to a group of professional, high quality, ethical companies you can trust. Membership in NRCA is widely recognized as a mark of commitment to and achievement in your chosen field. Founded in 1886, NRCA is the voice of roofing professionals and the leading authority in the roofing industry for information, education, technical assistance, advocacy, publications, programs and support to help your business grow.